Battlefield 1’s open beta starts today and runs through…sometime soon. EA hasn’t exactly said when it ends, though it has specified it’ll last at least four days. My money’s on it ending on Tuesday, a.k.a. the day after Labor Day, but we’ll see. Regardless, anyone with a passing interest in Battlefield—active or lapsed—might want to hop over to Origin (I know, I know, save your sighing) and check it out. Having played for a few hours on Tuesday, I can say with confidence that this World War I-themed game is the most fun I’ve had with Battlefield in a long time. Sniped by a cape-wearing man on horseback. Died when I was run through by a bayonet. Shot down a biplane with a flak gun. Killed two enemy soldiers with a damn cannon. Shot down another plane with a cannon. A cannon that was mounted on the front of an armored train car. 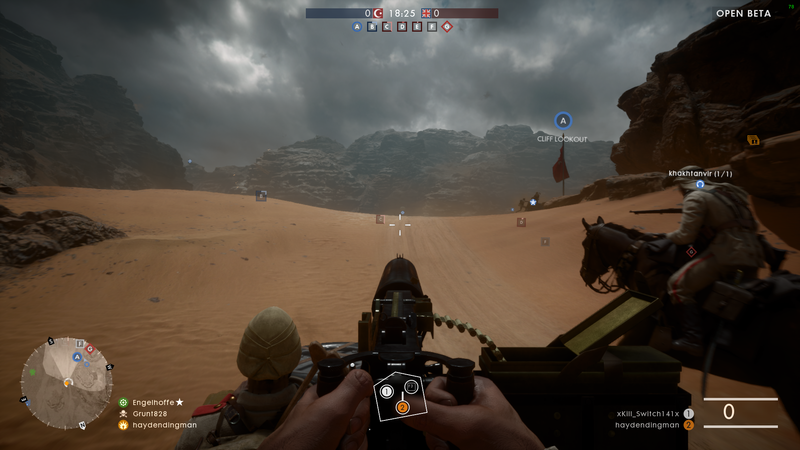 The history lover in me still objects to Battlefield 1. The history lover says no game based on the tragedy of World War I, the war to end all wars, should be this fun. The history lover says “Well actually, battles in World War I didn’t really play out like this at all, and a lot of these weapons are anachronistic or downright nonsensical.” The history lover wants to play more Verdun. 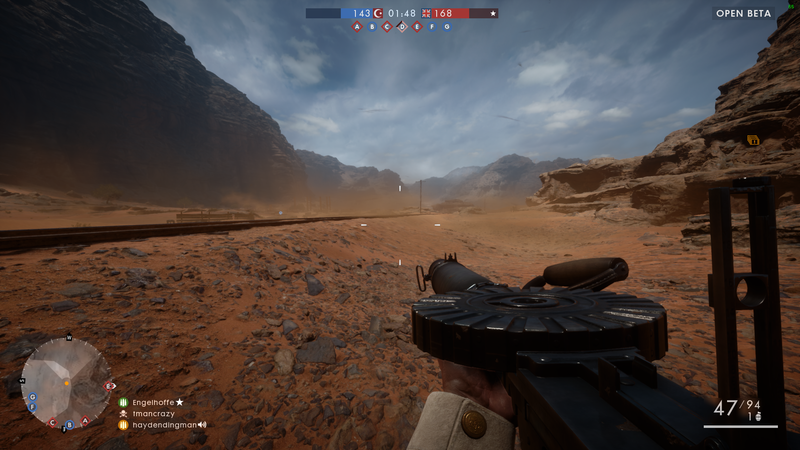 But the Battlefield fan in me has fallen in love with the dusty Sinai Peninsula, its beautifully-rendered rocky outcroppings full of snipers and its great rust-colored sand dunes rumbling with the sound of lightly-armored tanks and pounding artillery fire. It’s dashing! It’s grand! It’s full of sweeping gestures and senseless bravado. It is, in all honesty, everything that World War I wasn’t. History aside, it’s somewhat of a return to the Battlefield of old. Weapons are heavy and mechanical, land vehicles are slow and clumsy, airplanes feel like they’re held together with duct tape and glue. The pace is a bit slower, a bit more methodical, with players forced into a more deliberate war. Stress on a bit, because there’s still a weird propensity towards automatic guns, but I’ll take what I can get in a post-Modern Warfare age. 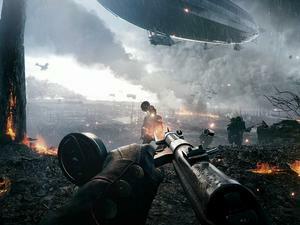 Battlefield 1 also feels more grounded, more realistic, even if its portrayal of World War I is Hollywood at best. The small villages scattered across the map are a welcome contrast to Battlefield 4’s cityscapes. Blowing up the wall of a two-story house somehow makes more of an impact than taking down Shanghai’s skyscraper. 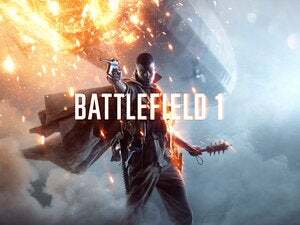 And if there’s anything Battlefield 1’s managed to nail in its portrayal of World War I, it’s the clash between the 19th and 20 th centuries, the way warfare shifted over the span of four short years. At one point I crested a hill riding in an armored car only to have a teammate ride up next to me on a horse, going about the same speed. 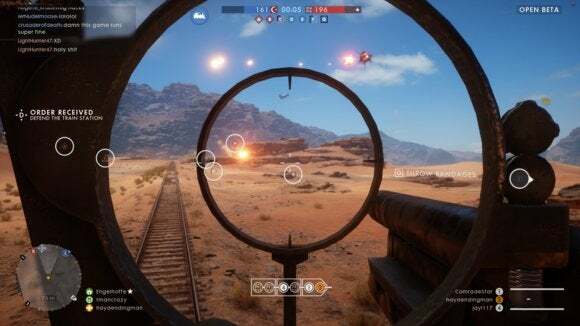 Railroads, tanks, horses—they’re all thrown together in Battlefield 1 like they were drawn at random from a kid’s toybox. It happened, though. 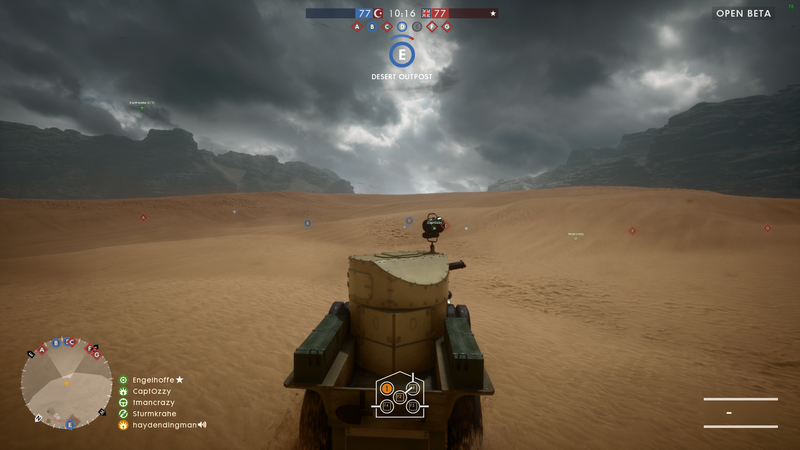 Vehicular warfare is probably the most interesting aspect of Battlefield 1 to me in this early stage because it really did shift so rapidly from 1914 to 1918, as countries sought a cure for trench warfare. Battlefield 1 might ramp up the action, might play fast and loose with historical veracity, but it nails the feeling of being on the cusp between Napoleonic warfare and modern warfare. As for the beta, it’s typically thin—one map, the aforementioned plains of the Sinai Peninsula, with Rush and Conquest modes available. All four classes (Assault, Support, Medic, Scout) are present, though each is limited to a handful of unlockable weapons. It’s the typical EA “It’s-really-for-marketing-but-we’ll-say-it’s-for-network-testing” beta, and I bet by the time the full game releases people will be well-and-tired of the Sinai Peninsula. But if you have some spare hours this weekend I’d recommend checking it out, particularly if you’re on the fence about Battlefield 1’s setting. I think many people will come away enjoying it a lot more than they expect. I know I have. 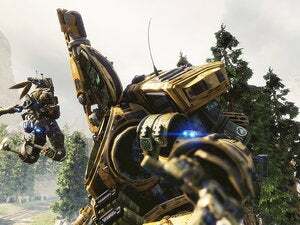 We’ll update you when EA puts an end date on the beta. Until then, give the Ottomans/British hell, chap. And always keep an eye on Objective Apples.